Learn how to install ShadowsocksR (not Shadowsocks) server on Amazon EC2 Ubuntu instance (Free Tier) easily. I set SSR in the title because it’s superior to Shadowsocks. The script included in this tutorial comes with the option to choose between Shadowsocks or ShadowsocksR during installation. It’s your call. Update: I recommend SocketPro, a dirt cheap option ($2.41/mo annual) if you prefer to rely on a service provider. Their services are top-notch and I’ve been using it for almost two years alongside my DIY servers. Click here to read my review. Update 2: Thanks Janosch for pointing out the error in the installation script. I’ve updated it now. ShadowsocksR is a fork of the original Shadowsocks project, claimed to be superior regarding security and stability. Warning: Although this guide is intended to be 100% n00b friendly, there are chances you may face minor issues or errors during setup. Be prepared. Just comment here or write to webmaster[at]mighil.com or connect with me on WeChat @mighil if you want me set it up for you for a small fee. 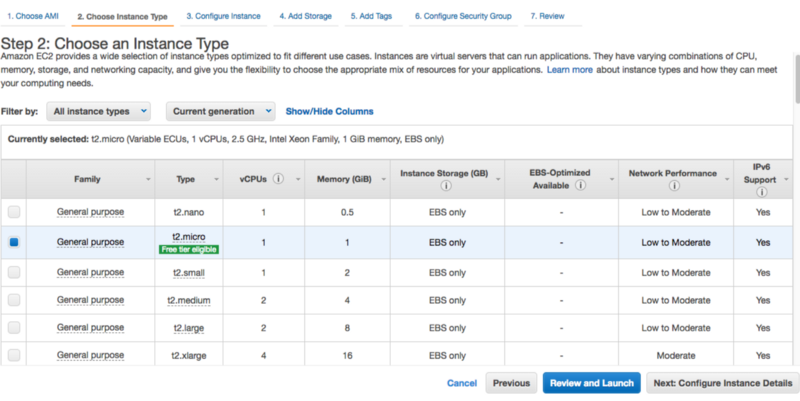 Read more about EC2 Free Tier. AWS may take you to the US region by default. It’s up to you choose the location. Select Asian region (Tokyo or Singapore recommended) if you’re from China. Go on and read their Getting Started Guide if you’ve got enough time. Ubuntu Server 16.04 LTS is Free Tier Eligible, and that’s what we’re going to use for this guide as well. Click Select and proceed to the next step. Look for the t2.micro which is Free Tier eligible. Select it and Click Review and Launch. Open the TCP ports you’re going to use for ShadowsocksR. I’ve set Port Range from 8000–8083 for this guide. You can limit the source according to your preference. Click Review and Launch when you’re ready. 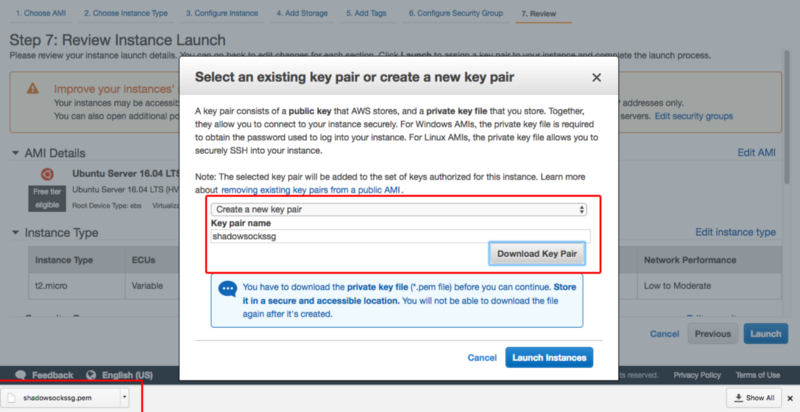 Create, download and save keypairname.pem file in a safe place. Congrats on the 60% progress…n00bs, before jumping to the next big step, learn how to use PEM key on Mac. !! Windows users, you have to convert PEM file to PPK. Please read it here and come back to this article. Alright, it’s about time fellas! Let’s dive into the Terminal/Putty. 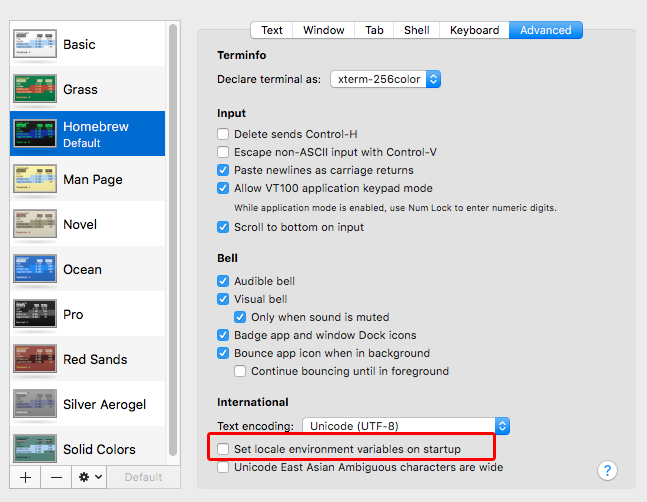 There are chances some users may get locale errors, it’s a best practice to uncheck this from Terminal Preferences. 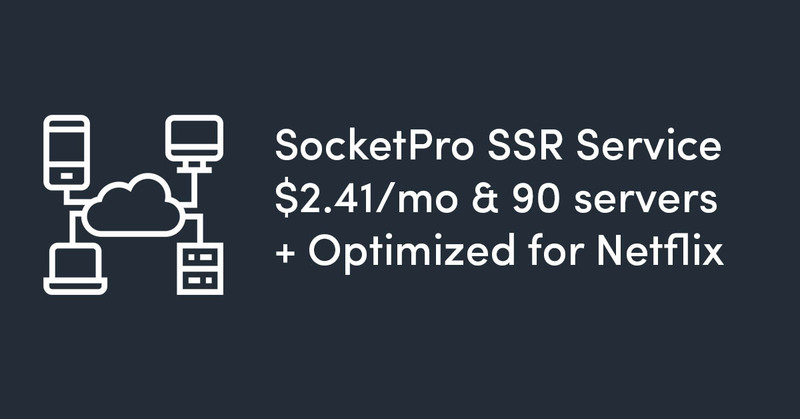 Get SocketPro now if you need a cheap option. 100% working in China. !! 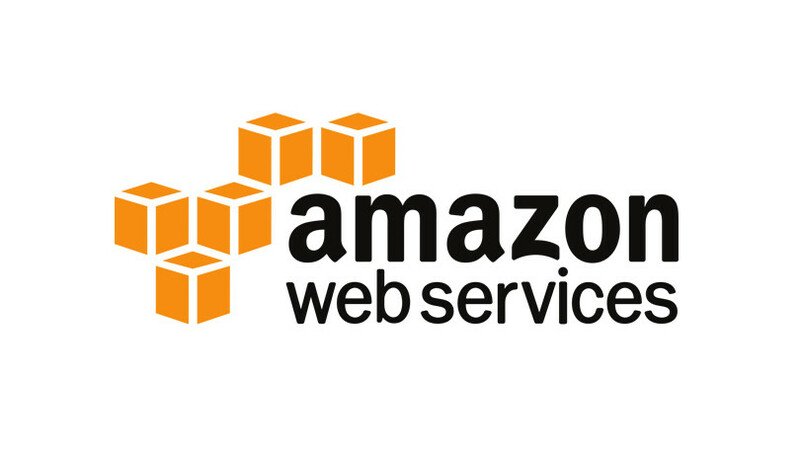 Check your public IP from the corresponding AWS EC2 webpage. Script by @teddysun. Copy and paste each line separately. This installer is intuitive and will guide you setup ShadowsocksR on your instance. Note: It contains installers for other Shadowsocks packages as well. That’s it, congrats on the 100% progress. Write to mighilcn at gmail dot com or connect with me on WeChat @mighil if you want me set it up for a small fee. Get tips on WordPress optimization, website hosting and VPN/proxy optimization guides for expats in China. Subscribe via email. MailChimp automates Mighil.com mailing list. We won’t spam your inbox. You can unsubscribe at any time.